For Web or .NET Developers who need to Image Viewer (TIFF, JPEG, BMP, PNG, GIF) and add image processing on Window and Mac OS X or browser-based application. Save as multi-page TIFF with different compression (LZW, JPEG, CCITT FAX3, No Compression). Save as PDF, Save as multi-page PDF, Save as PDF with custom size, Crop to PDF file (need PDF Encoder plugin). Create PDF file and Insert new page with text and image (need PDF Encoder plugin). Create PDF file and append new page with text and image (need PDF Encoder plugin). Custom define image size, font text, font name, font color, font size when add image or text to PDF file (need PDF Encoder plugin). Image rotation support (0, 90, 180, 270 degrees). Display Thumbnail List and Set the Thumbnail List Alignment. Support add image effects for full image or selected part of image (need Image Effects plugin). Support AntiNoise, Blur, Blue, Brightness, Contrast, Diffuse, Desaturate, Emboss, FocalBW, Gamma, Green, Hue, Invert, Lightness, Median, Monochrome, Mosaic, Noise, Red, Sharpen, SharpenEdge, Twirl image effects (need Image Effects plugin). Support undo edited image (need Image Effects plugin). Barcode Recognition processes an entire page or only specific areas in a page and Automatic barcode type detection, Read multiple barcodes and High-speed barcode recognition and return sureness value of each detected barcode. Supported Codabar, Code 11 Code 3 of 9, Industrial 2 from 5, Interleave 2 from 5, Matrix 2 from 5, Code 128, EAN 8, EAN 13, UPC-A, UPC-E Barcode Type (need Barcode Reader plugin). Include Sliverlight c# 2010 Display, Image Effects, PDFEncoder, Barcode reader Sample Code. added allow add PDF Encoder plugin. For PDF Encoder plugin it allow Save as PDF, Save as multi-page PDF, Save as PDF with custom size, Crop to PDF file. Create PDF file and Insert new page with text and image. Create PDF file and append new page with text and image. Custom define image size, font text, font name, font color, font size when add image or text to PDF file. added PDF Encoder c# sample. 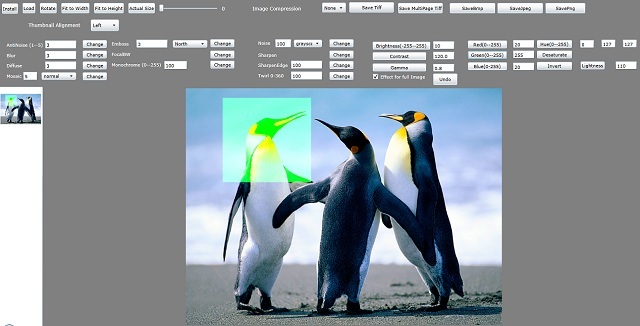 Developer can easily add powerful imaging capability to their browser applications or outside of the browser applications on desktop. 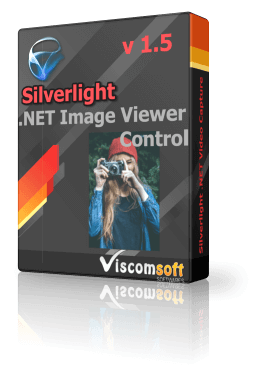 Sliverlight Image Viewer Control runs in all popular Web browsers, including Microsoft Internet Explorer, Mozilla Firefox, and Apple Safari, Google Chrome, and on Microsoft Windows and Apple Mac OS X.